Save a life, become a foster home! 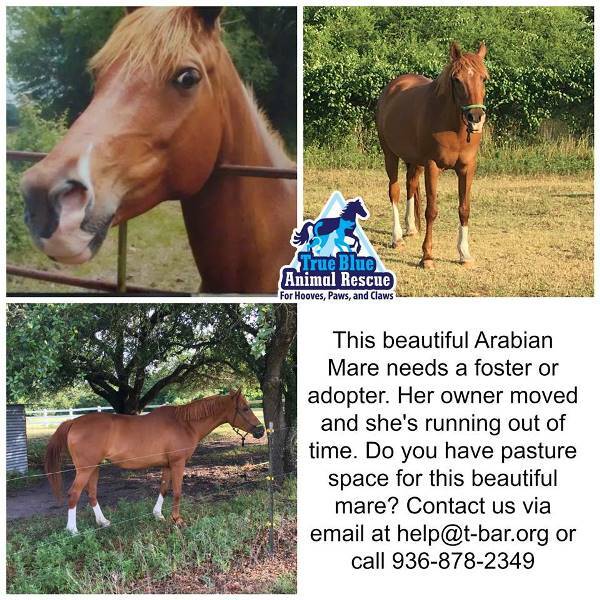 This beautiful Arabian mare needs a foster or adopter. Her owner moved and she’s running out of time. Do you have pasture space for her? Contact us via email help@t-bar.org or call 936-878-2349. Save a life, become a foster home!